It is said that a good mother is the essence of survival for any family and that a good mother will do whatever it takes to ensure the upkeep and the survival of her kids. 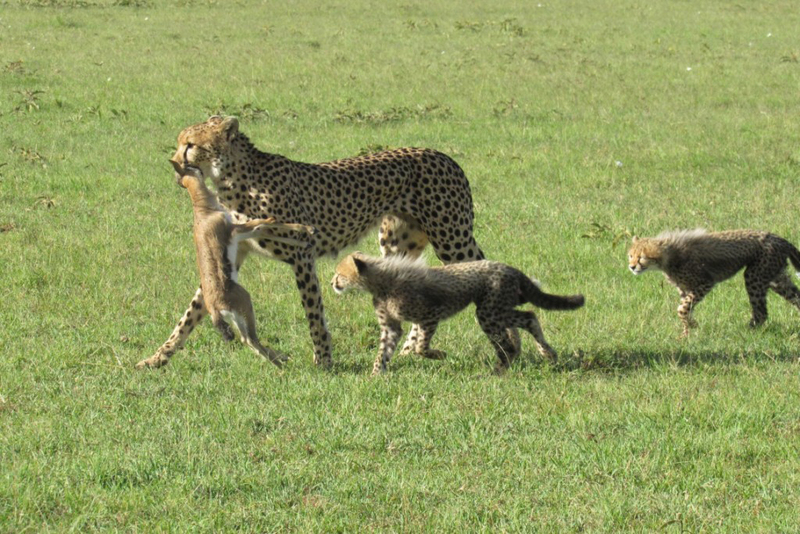 This June, here at Mahali Mzuri, this was proved before our very eyes when our resident mother cheetah (Selekei) taught us how a good mother can ensure the survival of a family. 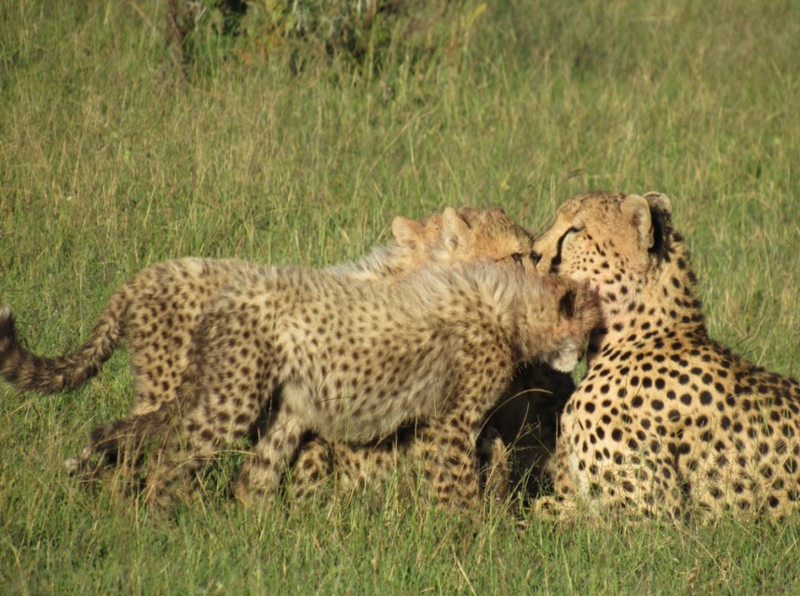 Selekei introduced her adorable four little cubs sometime back in mid-March and since then she has made Mahali Mzuri a safe haven for her little ones. As the cubs keep on growing, their appetite has also increased considerably so by June Selekei had to get them something to eat almost every single day. Consequently, in June most of our guests experienced live actions and kills almost daily! 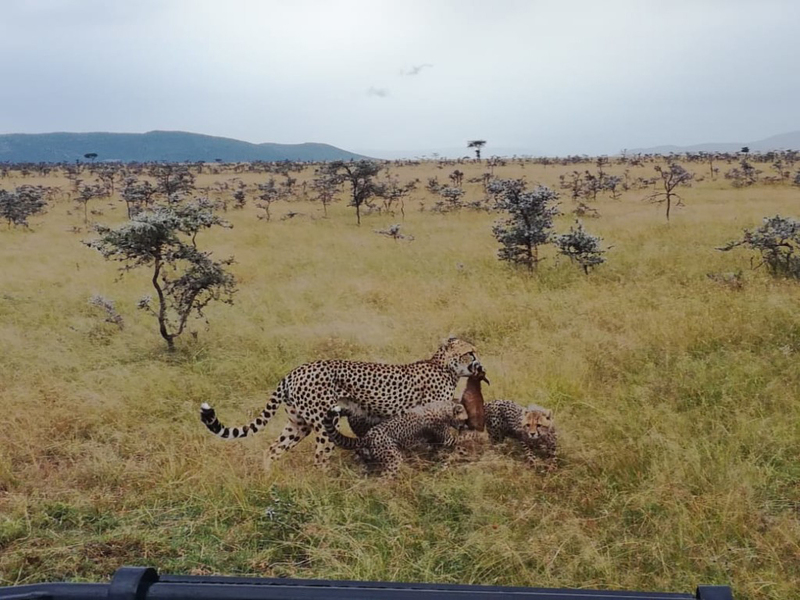 Selekei and her adorable cubs treated our guests to some of the most spectacular sights they've ever experienced, despite having gone on several safari holidays. What made it even more interesting is that Selekei and her cubs are always close by in the open plains just as you drive out of the camp! And if she is not chasing after Thompson gazelles, she will be resting under a shade while he adorable cubs will be playing with each other. 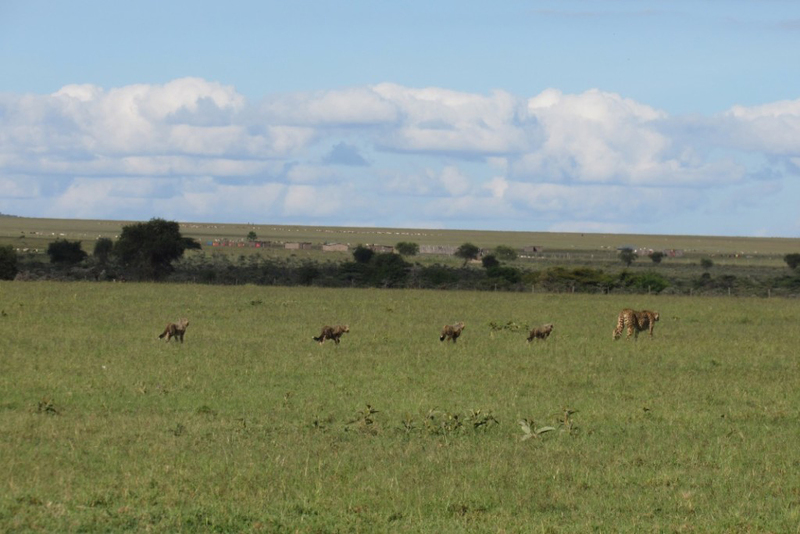 Spotted any great Cheetah photos at Mahali Mzuri? Share your pictures with us on Instagram by following @VirginLimitedEdition and tagging us #MahaliMzuri to be featured!